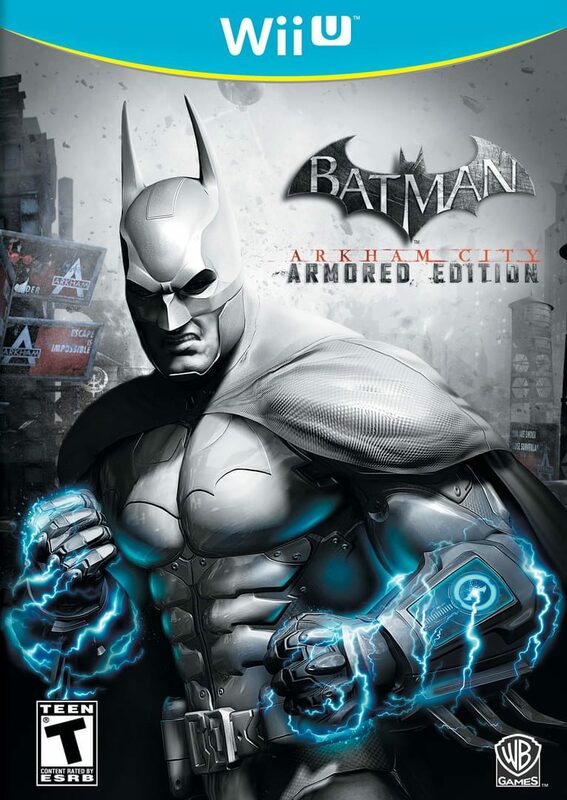 "Batman: Arkham City -- Armored Edition contains all of the content from Batman: Arkham City, including all available downloadable content, and introduces Battle Armored Tech (B.A.T.) Mode and the new Armored Suits for both Batman and Catwoman. Fans can become the Dark Knight like never before with the upgraded battle suit that gives players an additional power-up by allowing them to build kinetic energy during combat. When activated, players enter B.A.T. mode and dole out more damage than previously possible. The Wii U GamePad provides instant access to the wrist-mounted Batcomputer throughout the game, allowing players to use the touch screen to seamlessly select objectives, choose their gadget, track forensic evidence, upgrade their gear, detonate explosive gel, and more, all while remaining immersed in the action. Additionally, all gadgets have been reimagined to utilize the power of the GamePad, offering an unprecedented level of accuracy when using the Batarang and scanning for clues."